What’s the Vibe in Boise? “Top 101 counties in the nation with the highest percentage of residents who exercise”), and our No. 5 ranking on the list of “Top 101 counties with the highest percentage of residents that had a sunburn in the past 12 months” is a testament to our love for all things alfresco (really, though, let’s amp up the sunblock, Boise). So, what exactly does the 12th happiest state in the nation look like when it comes to culture and demographics? While Boise has some shortcomings in ethnic and racial diversity, the city is growing in diversity each year, home to a significant demographic of refugees, and also proudly one of the largest Basque communities in the world. biggest city in the region. Boise is home to more than 26 percent of the state’s population. Boise and surrounding areas (referred to as the Treasure Valley) carry 39 percent of the state’s population (clocking in with more than 426,236 people—and a more diverse demographic than the remainder of the state). That being said, the nearest metropolitan city, Salt Lake, is nearly 300 miles away—followed closely by Portland (345 miles west of Boise) and Seattle (406 miles northwest). You may have to drive through endless miles of high desert sagebrush to get there … but Boiseans are more than used to the five hour trek. But let’s talk demographics. Idaho isn’t quite the melting pot you might hope it would be at 90 percent Caucasian, 7 percent Hispanic, and only 1.5 percent African American. That being said, Boise is making strides to becoming more ethnically and culturally diverse, in fact, Boise hosts several ethnic refugee resettlement programs (more on that in a bit) and is home to one of the largest Basque communities outside of Spain. Visit Boise and enjoy one of the largest Basque communities outside of Spain! 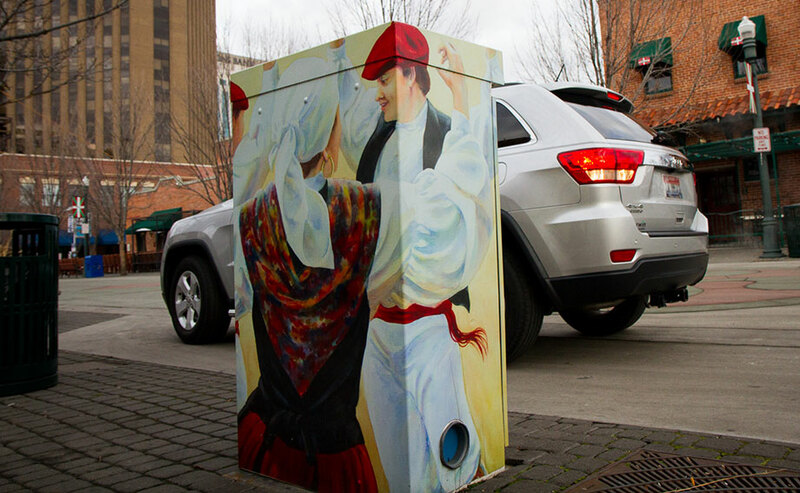 With an estimated 15,000 Basque residents (the second largest ethnic Basque community in the U.S.) you’ll find an entire block in downtown Boise dedicated to the Basque culture. Basque Museum and Cultural Center celebrates the Basque community’s heritage and their history as they immigrated from Spain and congregated in Boise. The Basque Center nearby hosts several annual festivities including tournaments, traditional dinners, dancing—such as the traditional Sheepherders Ball and Dance—as well as traditional dance classes for folks of all ages. Jaialdi, meaning “festival,” is a world famous Basque festival that’s held right here in Boise every five years, making it Boise’s largest cultural event. Basques from all over the world attend and celebrate their culture through food, music and dance. It’s also known for sporting competitions as athletes from all over the globe come to Boise to compete in the popular wood chopping and strength events. enjoy a Basque meal at the local Basque restaurants, most notably: Bar Gernika or Leku Ona. Or, if you’re feeling particularly savvy, buy your own groceries in the Basque market. Idaho Office for Refugees—a program that provides financial assistance, language assistance and employment services to those in refuge. Life’s Kitchen are a few more notable programs in the Boise area that help local refugees gain marketable job skills and become part of the local community. Table Rock, is a large plateau that hovers just above the city skyline. It’s often used for hiking, biking, and holding hands as young couples gaze out across the sprawling city. But its most prominent feature is the 60-foot-tall illuminated cross — a light than can be seen for miles around — shining high above the city. As you might expect, the cross has been the subject of many a lawsuit since it was first erected in 1956. Many believe it violates the basic concept of the separation of church and state. However, because the cross is currently positioned on approximately four square feet of private property (purchased by the Junior Chamber of Commerce for $100 in 1972), it’s completely legal. And it’s become a beloved landmark by religious and nonreligious Boiseans alike. In 1999, when self-proclaimed atheist Rob Sherman threatened to bring it down, more than 10,000 Boiseans marched from the Depot (more on this in a moment) to the Statehouse to save it. So, what does religion look like in a city overseen by a giant, glowing, beloved cross? Overall, Boise is fairly diverse when it comes to religion. It’s not uncommon to drive down the street and pass different several churches (or at least, advertisements for churches) as you make your way from point A to point B. That being said, Boise has a surprisingly low amount of religious people (8 percent lower than the national average). 15 percent live here in Boise and neighboring metro areas. But that’s not to say that Boise isn’t a melting pot of religions. About 43 percent of Boise’s population affiliates with a religion of some sort. Of that 43 percent, LDS tops the list, but Catholic, Baptist, and Methodist aren’t far behind (6 percent, 3 percent, and 3 percent respectively). Like any city, you’ll find more concentrated pockets of religion (or lack of religion) in different areas and neighborhoods, depending on self-perpetuating microcultures and nearby churches, seminaries, and schools. And if you’re worried about religion influencing city politics or interfering with community life, worry not. Boise is big enough (and diverse enough) to allow each religion to practice peaceably. On the other hand, if you’re worried that Boise might not suit your religious needs—think again. Several Boise public schools offer students the opportunity to attend off-site seminary classes, and Boise is home to more than a handful of Catholic schools. religion and beliefs Meetups that take place right here in the Treasure Valley. Boise State Football. And if you don’t think that’s a religion in and of itself, try taking a walk around Boise on game day … or telling a local that you’re an Oregon Ducks fan. Boise Depot was once referred to as “the most beautiful structure of its kind in the West.” And while even more beautiful structures have sprouted up around it since, Boise locals still tout the Depot as one of the city’s most prominent and architecturally appeasing buildings in the city. 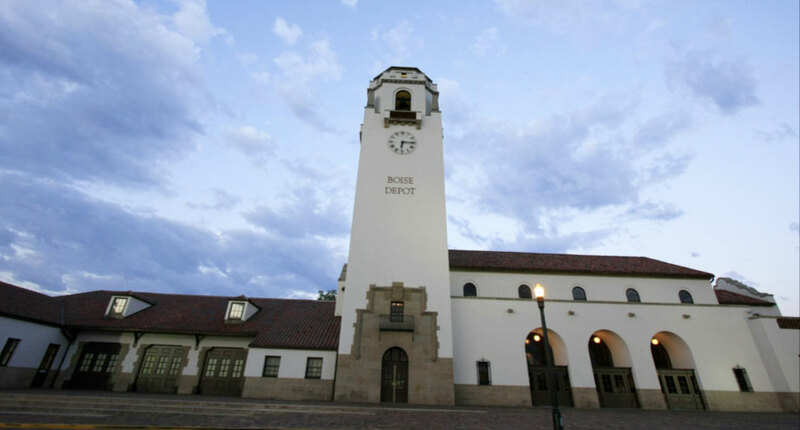 Today, the Depot is most often used as a wedding and event venue (the last train pulled out of the station in 1997), and a $3.4 million renovation (completed in 1993) ensured that the Boise Depot would be a landmark destination for decades to come. Travel Channel’s Ghost Adventures; the Old Pen was built in 1870 and operated for just over 100 years—housing some of the most notorious criminals Idaho had to offer. Between 1870 and 1973 (the year the Old Pen shut its doors for good), The Pen saw more than 13,000 inmates and ten executions by hanging … so we can see why the folks from Ghost Adventures were so drawn to this eerie stone complex. signature events that are intended to draw (and educate) a wide range of audiences. The events range from sweet (“Romancing the Pen” takes place every Valentine’s Day) to scary (are you brave enough to embark on an Old Pen night tour?) and everything in between. The views and opinions expressed in this article are strictly those of its authors and were not written by Realty Boise. This article was originally published by TSheets. Idaho Urban Legends – Are these myths fact or fiction? Boise Crime Rate – Is Boise as Safe as It Feels?